NASA June 2012 Solar Cycle 24 Prediction | Watts Up With That? BTW, low solar may relate to overall lower global temperatures but more stable (meridional patterns that result in more extremes). All of the continental heat extremes occurred in the lower solar periods. This is because the meridional patterns seem to persist when the sun is less active. That partially explains persistant the cold in the Peciifc Northwest down to coastal California while areas to the east have been stuck warm. The second strongest La Nina in 110 hears is also likely playing a role resulting in an enhanced cold PDO with cold water off the west coast and warm north of Hawaii. This helps maintain a western trough and downstream ridge. That appears to be breaking down as El Nino comes on now as it did in 2009. The pendulum is likely to swing as it did in 2009. By the way the last regime with waters cold in the east was the early 1970s, a period where the Atlantic was cold. That made the difference. As now we are in the warm mode which favors continental warmth in summer in the Northern Hemisphere. But this last year has been US specific. NOAA making big deal about last 12 months warmest ever. 6+ billion people, Great Recession, sleeping Sun and tens of thousands of WMD. Bad, bad, bad. Found the whole Waldmeier Jump presentation rather fascinating. still a proposal or has it been accepted as a future reference? Has anyone published annual SSN for the above? ERRrrr, didn’t NOAA switch to an unadjusted Sunspot count that should be multiplied by 0.6 so it can be compared to the historic data? Yes they did. One of my goals [since we are going to change the ‘precious historical record’ anyway] is to get rid off the 0.6 factor and revert to the simple and intuitive original equation R = 10*Groups + Spots. This will be a hard struggle. Really? He does this on his own time, I thought he did this FOR NASA as an EMPLOYEE under THEIR direction….. I thought he did this FOR NASA as an EMPLOYEE under THEIR direction…..
What makes you think that? The FOR NASA and THEIr direction clauses are not correct. Scientists that work for NASA often follow their own paths. Not everything is FOR NASA or DIRECTED by NASA. I work for Stanford University, but my work is not FOR Stanford or directed by THEM. I don’t have time to investigate, but the climate widget in the rightside nav bar says “Sunspot#: 155”. The more recent data at http://spaceweather.com/ says 98. Did we hit 155? Hmm, 155 × 0.6 = 93. Hmm…. Looking at the graph, it seems to me that we could have a rather impressive drop in solar as early as this winter, If that winter then happens to coincide with severe weather, then this story is likely to go ballistic. Not that the weather is likely to have any connection to sunspots, but we know how the press just love to take a story like this and frighten the public. I found this remark quite flippant. Maybe it’s an inside joke within your working group. It is not funny even if meant as a joke. George Orwell’s 1984 wasn’t a comedy. Rewriting history should be viewed as a crime against science, yet I fear “the disappearing” of inconvenient data is becoming too commonplace. REINTERPRETING the historical record is quite another matter. At least then, the history remains and the method of reinterpretation can be debated, accepted or discarded for another reinterpretation. Models come and go. Interpretations evolve. 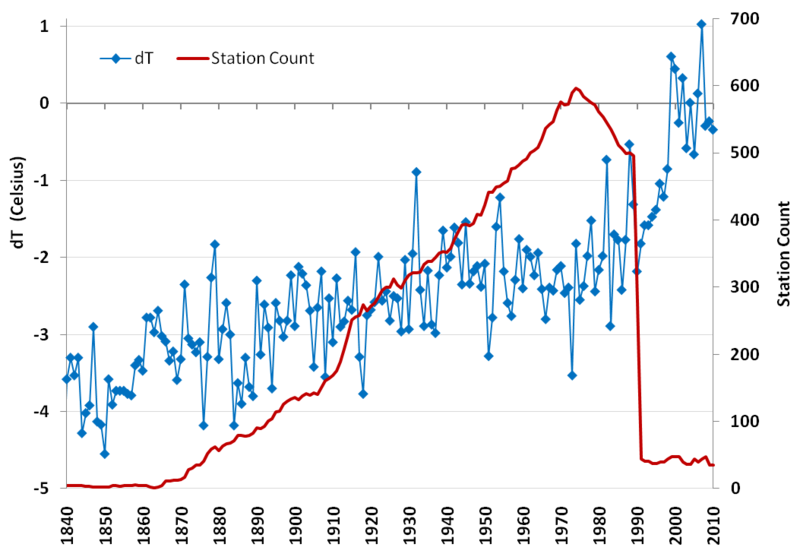 The historical observations are subject to error bars. But the observations remain. The historical record is indeed precious and should be treated as such. Leif, I wish you well on your improved sunspot metrics using technology’s advancements over the centuries. Certainly something better than sunspot groups*10 can be agreed to. I think, however, that it is preferable to “add” to the historical record rather than “change” it. Looking at the graph, it seems to me that we could have a rather impressive drop in solar as early as this winter…. I doubt it. 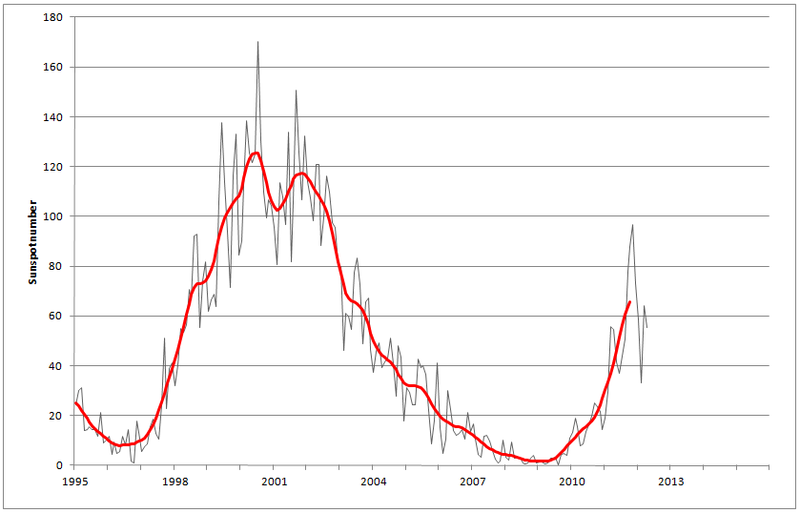 Weak solar cycles general “Hit Peak” and noodle around near peak for a few years. They form more of a “plateau” than peak. Maybe Lief will comment. I found this remark quite flippant. … I think, however, that it is preferable to “add” to the historical record rather than “change” it. There is general agreement that the historical record should be changed. This has happened several times in the past as new data and new methods have become available. And will happen this time too. This has nothing to do with ‘rewriting history’, but everything to do with getting the data right. But the observations remain. The historical record is indeed precious and should be treated as such. 12 Warmest Months at the state level. And what has that to do with the sunspot number? Off Topic? Did you read the article? The author brought it up!!!!!!!!!!!! “NOAA making big deal about last 12 months warmest ever. el nino spanish jampalaya soup will crash and destroy the planet and turn into cayene spices. Many thanks Leif: it is a delight to read sun orientated posts kowing that your overview will be made available so freely. We may have to revise our hypothesis: human CO2 may be depressing solar activity. With solar cycle 24 being predicted to be the smallest peak in over 100 years and with it predicted corresponding cooling temps., why are US Land temperatures so warm these last couple of years? For example, Chicago IL monthly temps. have been above the historical average for 20 of the last 26 months, especially this past Winter and Spring. Globally, what has been temp. trend the last couple of years? Is the same temp. trend found in the Southern Hemisphere as the Northern Hemisphere? Is there a time delay soon to kick in to show the the world is cooling? Like my old astronomy buddy, Dr. Bob Wildey used to say: “The universe is not only stranger than we imagine, it is stranger then we CAN imagine!” …so much for preconceived notions… Mother nature can be a hound dog at times! In the past, Is there a direct relationship between solar cycles and global temps? As the solar cycle gets longer and the sunspot number lower, the global temps generally decrease. Perhaps the sea surface temps and cloulds affect the jet stream due to the solar cycles as well? As the solar cycle gets longer and the sunspot number lower, the global temps generally decrease. Regarding sunspot numbers. When it comes to measuring things, people can be just as wrong with a yard stick way back when as we can be right now with all our technology. And many time, the wrong method used will result in under or over measurements, not random measurements. The trick is to be sure you are on the right track and not just guessing or inserting your own wrong method when trying to clear up the mess. If a clear error can be identified, than adjustments to the data should be applied, as long as the original data set is preserved. as long as the original data set is preserved. Unfortunately, starting with 1945, the Director of the Zurich Observatory [where the sunspot number was determined] has not preserved any of the original data. When SIDC in Brussels took over in 1981 they have carefully preserved all observations. A couple of observations (and criticisms) for your reflection, correction, or expansion. 1. The first 5 paragraphs seem limited to “curve fitting” – better and better curve fitting with each revision to the original cycle 24 predictions, curve fitting that appears to yield ever-more-accurate “predictions” based on back-fitting previous cycles, but nothing more than “curve-fitting” nonetheless. If – big “if there! – curve fitting works and needs to be continually revised in the near-term to continually refine simple sunspot cycle predictions, is it not valid (until a “real theory” comes along at least) to attempt to “curve-fit” solar-planetary cycles and the earth’s climate? 2. It seems very, very wrong to make any attempt under any circumstances to directly link any sunspot cycle influence on the earth’s climate. Sunspots, rather, are only a symptom of periodic changes in solar circulation, and perhaps, solar activity. They are not themselves a “solar activity” by that can influence any pattern or radiation, or TSI or electric-magnetic fields by and under themselves. But having said that, since the quantity and size and patterns of sunspots do change periodically because of other changes in the sun’s operations, they “may” be a valid symptom of one or more other by solar circulation patterns and electromagnetic radiation and illumination fields that might” be influencing the earth’s climate. But I think you can ONLY make any sense of the changes in sunspot levels and cycles IF you nknow exactly ALL of the other influences, and have accounted for them correctly. For example, assume you are measuring wave heights offshore and trying to relate them to wind speeds you measure across a beach. If you look at the moon only, you ,miss the second tide every day. If you ignore the sun’s position with respect to the moon, then you miss the neap tide influence when the sun and moon are on the same side of the earth and the tides are higher. Or slightly lower when they are opposed to each other. If you miss the hurricane broadcasts, you miss the irregular but repeated influence of storms that are “invisible” to your eye, but are affecting ocean buildup and long range waves. If you ignore earthquakes, you miss the tidal wave. If you ignore land subsidence when the water is pumped out under the local city, you change your wave-wind prediction over time. If you measure water levels only, you miss the seasonal effect of fresh water flooding in spring and low river levels in the late summer drought. ALL of these factors have nothing to do specifically with wind-wave effects, but they ALL combine to screw up your one measurement than you are trying to use. So, we count sunspots, but what are we actually measuring. 4. What is the “time-lag” between different solar changes below the chronosphere and their influence on sunspot levels? That is, if it takes a year for a single unit of energy to “work its way “up” from its fusion point” to the point of release from the sun to begin its 8 minute travel time to the earth’s orbit, how far back in time does whatever influence (or influences!) is changing the sunspot cycle is going to be starting – (and ending!) – its influence on the sunspot cycles we see now? The changes we saw in the past, and will see in the future? Do different circulation patterns at different depths have different lead times on the final circulation pattern that affects sunspot counts? 5. As I understand the fundamental processes, there are two 22-year circulation patterns involved – one positive and one negative – that cross/combine each other to yield the familiar 11+ year visible sunspot cycle. There also appears to be a “beat” of three “high” cycles, then three low cycles over the years making a net 60-66 year change. What influence(s) may be changing an “odd” cycle that might affect an “even” cycle more. Or affect it less? Or differently? Would we gain any useful inferences if we did not look at the combined sunspot cycle, but at the two different cycles (maximum, time interval, minimum counts, etc.) separately over time? Hathaway does precisely that. The forecast consists of a weighted average of a real prediction made back in 2008 and the observed sunspot number, where the weight of two terms change over time [in opposite directions]. Halfway through the cycle the two weights are equal, before that the prediction has higher weight, after that, the observations have higher weight. This is not a prediction in a strict sense, but a description of how the cycle has been doing so far augmented by what an average solar cycle looks like with a similar past [in the cycle]. the sunspot number is a very good proxy for the UV, TSI, and for the solar wind. That is why we still use it. It actually takes a quarter million years to get the energy to the surface. No, there is only one circulation. By virtue of how the magnetic field disperses over the solar surface, the field reverses every eleven years, taking two eleven-year cycles to return to the original polarity. But that does not mean that there are two different ‘circulations’. Leif, the pdf is interesting but it is easy to be dismissive if you do not want to find any correlation. To the eye there would seem to be some relation between the two warming cycles of 20th and one of you cycle length plots (though you don’t label them clearly so I can’t see which it is). some people have suggested the ‘prior cycle’ idea so it is fair to look at that as you did, but from the plots you show I would be more inclined to suggest a lag of about ten years (probably due to thermal inertia of the system) may fit the data better than prior cycle. To properly investigate the relationship one should look at how the correlation varies with lag. Curiously you don’t quite say what temp data you use : “HADCRU…” = ??? Just looking at the way the icoads data gets changed may account for the lack of correlation unless their hypothesis about buckets and arbitrary reassignment of bucket to EIR data are correct. I doubt that the CRUTemp part of the data is any more reliable but we will never now because the cat ate their original data. These data are far too uncertain for you to dismiss the possibility of correlation as lightly as you do. The shoe is on the other foot: the data does not demonstrate to my satisfaction that there is any correlation, perhaps the data convinces you [but that does not help me]. It doesn’t matter which temperature series you use. 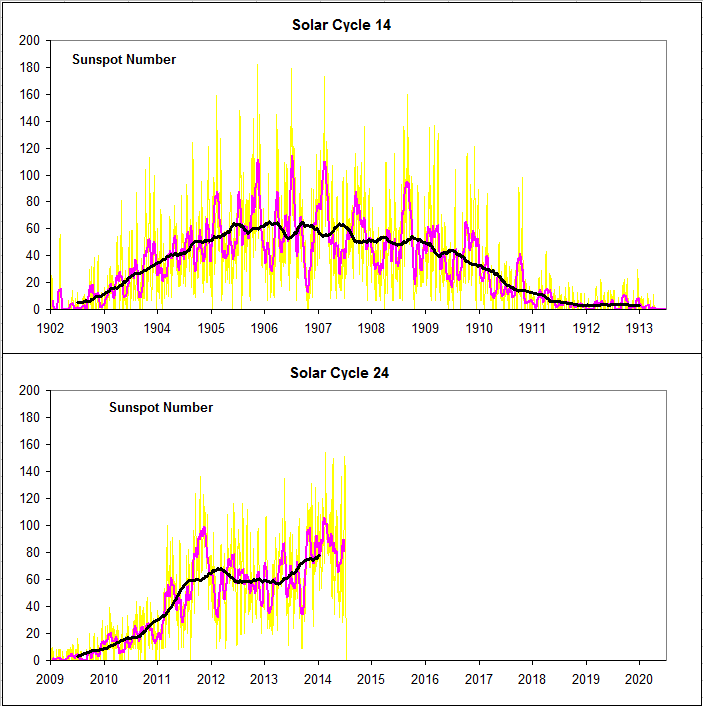 – Do not look to the ‘naked’ sunspot number or the ‘plain’ cycle length to explain the global temperatures, just take a good look at cycle SC19 (around 1960) and relevant temperatures, strongest cycle on the record accompanied by largest drop in temperatures in the 20th century, totally opposite to what is expected. Noticed similarity of two global images? Change of solar input as measured by TSI is not sufficient to cause major climatic changes, neither is its daily magnetic input, however from time to time the Earth’s magnetic poles get strong jolt from the solar storms, that permanently changes Earth’s field. All of this is of course labeled as pseudo-science since discovery was made not by some highly paid scientist, but an amateur. This is simply not the case. There is no ‘discovery’ here. And how else would one qualify the fact that the decadal change in the Antarctic’s magnetic field is highly correlated with Dr. Leif Svalgaard’s TSI reconstruction 1700 -2000. As soon as I discovered this, for the solar and geo-science important fact, I informed the author of the TSI reconstruction. What is the magnitude of the permanent change per storm? The data will not demonstrate anything on its own , someone will have to look. I did not say I was convinced (or otherwise) since I have not had the time to investigate it. My point was that your trivial look at manipulated datasets that does not investigate any possible lag was too simplistic to dismiss the possibility of a correlation. To claim that there is no correlation you have to have a credible attempt at finding one. My point was that your trivial look at manipulated datasets that does not investigate any possible lag was too simplistic to dismiss the possibility of a correlation. A lag of one cycle was considered [the prior] and didn’t lead to anything. And this is a trivial thing: If there is a good correlation it trivially shows itself. Longer lags are not reasonable and do not stand out. Of course, if there is a 12345 year lag, my trivial analysis will not find it. So you can always postulate a lag that makes the problem unfalsifiable. Again: no. It is the one that makes the claim of a correlation that has to show it. 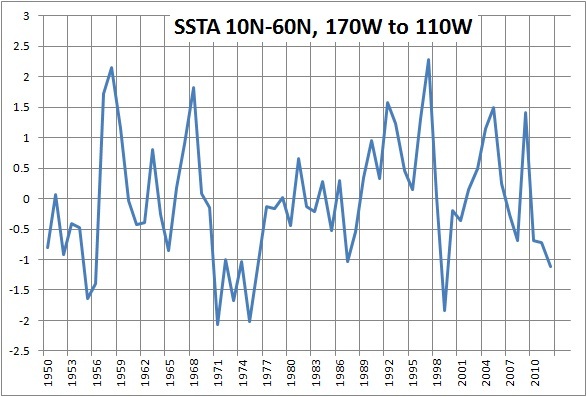 since determining the cycle length from either the ill-defined min or max point and the limited number of cycles to look at this is not going to give a dataset well suited to correlation statistics but a quick look at the interval between minima and hadSST3 does show the 1910 and 1970 troughs did coincide with longer cycles. I beg to differ, there is evidence for correlation. *Not one, but several long solar Grand Minimums, including one very long deep one (Maunder), and all fairly close to one another (all in the same time frame of around 400 years or so). Compare this with this one lil’ cycle, and, well, they don’t compare. Keep it up for a while, like several decades to a hundred years or so, and we can talk. 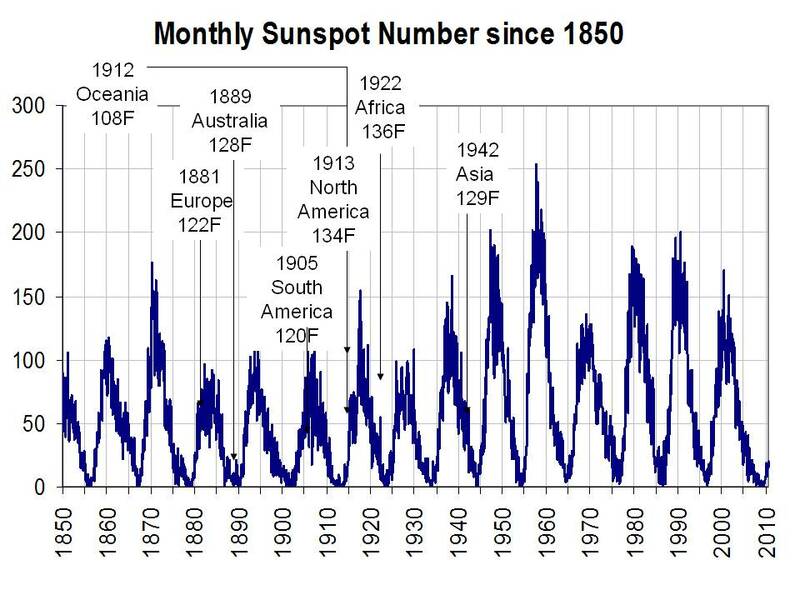 *The Maunder minimum was reported to have a lot less sunspots than this, like, some reports of zero. This lil’ cycle isn’t a real Grand Minimum by a long shot. So yeah, we can see “global temperatures generally decrease” when we have decades and decades or even hundreds of years of true Grand Minimums with, like, zero sunspots for long periods of time. For just one cycle, however, not much. After all, if low sunspot numbers caused low temperatures that fast, we would see low temperatures every 11 years, as there are low sunspot numbers every cycles minimum. Now if, IF some predictions are true and the next cycle is a true Grand Minimum, well, then maybe we can talk. Globally, what has been temp. trend the last couple of years? What happened to your lag? And the 2000 trough coinciding with the long cycle 23? Did everyone catch what Leif pointed out – June 8 2:42? graphs up on his own time we’d get NOTHING from NASA but their PR press puke? I was merely pointing out the evidence of WHEN Grand Minima DO create low temperatures, specifically, when they are very deep, very long, and when there are a fair number of them clustered in a period of several hundred years. More minor things, like one low sunspot cycle, or a single smaller Grand Minima of fairly short duration, may see little or nothing, or the effect may be fairly small and/or localized to just some areas on earth (the areas to be determined by what conditions of various earth cycles the Minima meets). The effects (if any) may also be delayed, the delay likely being different at different places on earth, making the effect hard to find. It appears to take a fairly long Minima, or better, several minima clustered, to overcome this and be able to see a worldwide effect (at least one we can detect with proxies centuries later). Various things will interfere, ocean currents, La Nina effects that store solar energy, theomostat effects that may tend to conteract whatever the sun is doing (such as less thunderstorms on the equator thus allowing in more sun, among others). All this interference will make the effect less, delayed, or moved around, thus making it hard to see any effects of a short minima (assuming the thormostat effects don’t counteract it altogether). I had beleived that my messege was clear. I clearly pointed out the one time we KNOW low solar activity likely created, or helped to create, low temperatures, The Little Ice age, a period of multiple and/or deep minima, very unlike one fairly low sunspot cycle we are seeing now. I mean, how clear do I have to be to point out the differences between multiple very deep actual grand minima with almost no sunspots, compared to one small mildy low sunspot cycle? Am I the only one who sees a difference? Little Ice Age, name says it all, worldwide cold effects ——————-solar cycle 24 cold effects, anyone, anyone, Beuler? Q: Do we have evidence? It is the one that makes the claim of a correlation that has to show it. 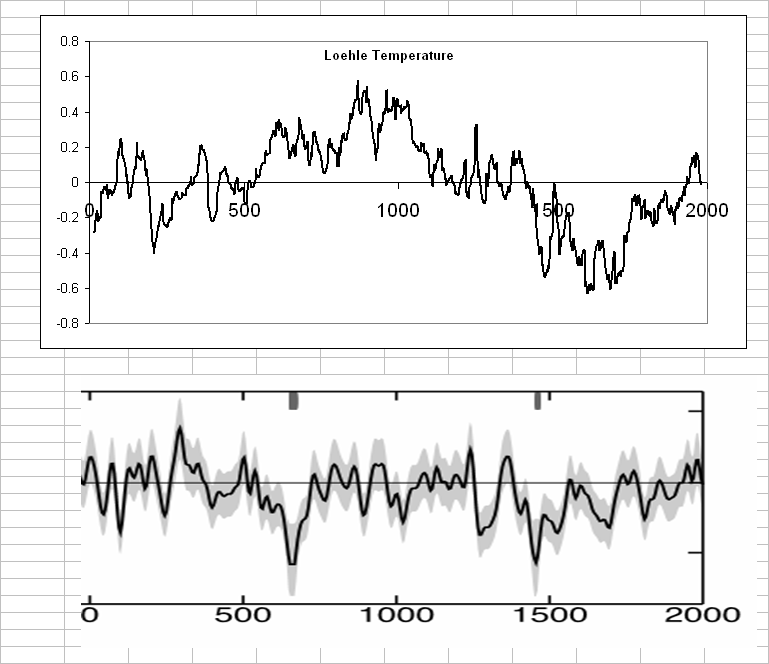 Reducing subject to the ‘sunspot number to the global temperature correlation’ is not an approach which will provide resolution, since it is not direct, linear or stationary relationship. You cannot use KNOW and ‘likely’ together. And we don’t KNOW there is a causal relationship. You assume so, that is all. Science is about numbers. So, again: What is the magnitude [in nT] of the change per storm? With solar cycle 24 being predicted to be the smallest peak in over 100 years and with it predicted corresponding cooling temps., why are US Land temperatures so warm these last couple of years? …..
…as the Hadley Cell circulation increases in intensity the cells become larger and the jet streams get pushed away from the equator when the Hadley Cell circulation becomes weaker they shrink and the jet streams (and Ferrel Cells) move toward the equator. Watch how the red and blue areas in these graphs realign as Hansen/GISS adjusts the temperature. A graph of the adjusted vs raw data for the USA (year 2000) GEE, that adjustment gives us 0.5C warming! I am shocked! Even with the massive temperature station dropout the “Team” can’t get the data to cooperate. This is why Lief’s suggestion of changing the historic calculation of the sunspot number raised a few hackles. So, again: What is the magnitude [in nT] of the change per storm? Give me access to the Stanford University’s facilities for a year and I will provide you with an annual average for the period and location where data is available. Your question is not exactly what a scientist would ask, who is well aware that every magnetic storm is different, and the impact will depend on the intensity of the filed at given location. For the moment I am happy to say that the fact that (for 1700-2000 period) the decadal change in the Antarctic’s magnetic field is highly correlated with Dr. Leif Svalgaard’s TSI reconstruction. See correlation graph for values, I think you should familiarize yourself with what is shown in the link above. But that is only a minor point, soon I shall publish description of the precise way how the temperature is linked to solar magnetic output, it is indirect, non-linear and non-stationary relationship. Any climate scientist about who can explain reasons for the polar amplification ? Polar amplification is thought to result primarily from positive feedbacks from the retreat of ice and snow. There are a host of other lesser reasons that are associated with the atmospheric temperature profile at the poles, temperature dependence of global feedbacks, moisture transport, etc. Or in short they don’t know. One can easily define a typical or average storm at a typical location. So this is precisely the question any scientist would ask: quantify your claim. If you cannot, you have nothing. If the “work product” was created using Stanford facilities and resources, this would typically give them a claim, unless stipulated otherwise by contract. For example, if I wanted to control someone’s work, I would make resources available when the work went in the direction I wanted it to go, and I would make resources dry up when it was not going in the direction I wanted it to go. There is no need to direct the work itself, only the resources. That does not change the fact that the work is not DIRECTED by them which was the main point [and BTW, Stanford facilities and resources are not used for this]. There is no need to direct the work itself, only the resources. The point was that my work does not represent Stanford’s ‘official’ position [if they have one], just like Hathaway’s work does not represent NASA’s ‘official’ position [if they have one]. And Stanford does not want to control the direction of my research. I would just say it is good when something of that kind occurs and top experts in the field have no idea why. And it is not unique, in the Arctic there is also the good old North Atlantic Precursor a ‘piece de resistance’ of sun-Earth’s magnetic link. and that is what I have my friend, you call it ‘nothing’ I call it little nuggets of gold. Have fun and enjoy the afternoon. You don’t need to be anxious about this. Your claim was ” however from time to time the Earth’s magnetic poles get strong jolt from the solar storms, that permanently changes Earth’s field”. This is a very specific claim and all I ask is what is the average permanent change per solar storm. If you cannot give a number your claim is not validated. We have gone over this too many times. It is time you learn. To the contrary, both authors are highly respected, can’t think why you would be so downhearted about either of yours or Andy’s data, they are nuggets of gold, far, very far from ‘fool’s gold’. they are nuggets of gold, far, very far from ‘fool’s gold’. They may be, but the one thinking they are causally related is not. For the last time: your supposition is complete nonsense. You might as well try to correlate with the US population. Makes just as much sense. But now I have to go. Of course, one way out of the corner you have painted yourself into is to retract your unsubstantiated specific claim and just stick with your correlation. Nothing wrong with the data, just with your use of them. I’ve noticed many bluebirds around in recent years, some might attribute it to my increased use of binoculars and attentiveness, but I don’t think so. 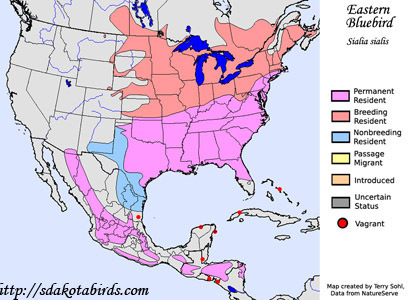 The spread of bluebirds is a warning sign. Any updates on the prediction for Cycle 25? Three years after polar field reversal [i.e. four years from now] I will be able to predict SC25 with some confidence. Statistically, SC25 may be a small cycle too. @Vukcevic: All of this is of course labeled as pseudo-science since discovery was made not by some highly paid scientist, but an amateur. What does the history of science shows?…..Well,…..it happens that it remembers only the amateurs. The Scientific method, first, to find a new law, 1. guess, 2 .next compute the consequences of that guess, 3. then compare the computation to nature or experiment to see if it is a good guess. The problem here is, if a number cannot be given (“If you cannot give a number “), step two has not been followed and step three is impossible (“your claim is not validated” and indeed cannot be validated). The best this idea can be said to be is a “working hypothesis”, an idea for a hypothesis which is not yet complete enough to compute and thus is not yet an actual scientific hypothesis. I assume so for a very specific reason, because there does not appear to be any other possibility. The Little Ice Age is the longest and deepest period of cold in the Holocene It is several times longer than any other period of cold, and rather colder than most. It also coincided with not one but two Grand Minima, the first as deep or deeper than any preceding it and twice as long (approximately), and the second just as deep and twice as long again. There were also two much milder minima after this in the period of cold. There appear to be no other possible causes for this period of cold. There are no other similar periods of such cold, at least not this cold and nowhere near this long a period of cold. Something caused it. The unusually long and deep periods of low solar activity appear to be the only possible cause. There does not appear to be any other possible causes, not for such a long period of cold. If it was “natural cycles” then we should have seen other periods of similar cold of the same length, we do not. How could any natural cycles last so continuously for so long and not swing back to warm, when we see no other periods when it has done so? If you say volcanoes, you would have to show a period of extremely unusual volcanic activity for a period of hundreds of years. Past volcanoes do not appear to have caused periods of cold of even close to this length and depth. Conclusion, if we find a murdered body and only one person, some dude named Sol, is the only person known to have been anywhere near there during the time of the murder, who becomes the only suspect? 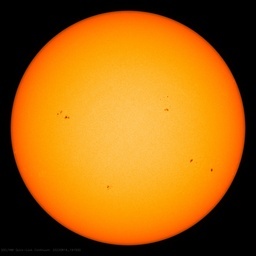 Currently, low solar activity for a very long period(s) of time appears to be the only possibility. When you have eliminated the impossible, whatever remains, however improbable, must be the truth”. If you want to say that the Little Ice Age was not caused by low solar activity, then you need to propose some other mechanism for it. If you cannot, then low solar activity is left as the only possible suspect. To then say that low solar activity did not cause this effect is unphysical. As for “likely” and “know”, in science, they are pretty much the same thing. Nothing can be absolutely proven to be “known” in science (although we can pretty much disprove something), but it can be said to be so likely as to be called a natural law, which is usually thought of (until disproven) as “known”. “Known” in this case is thus taken in it’s scientific sense, which is “known until proven otherwise” (which has been known to happen). I think it “likely” therefore that low solar activity caused, or largely caused, the Little Ice Age, simply because there is no other known possibility (other suggested possibilities appear to have been disproven). I may use the word “known” simply because, since no other possibility presents itself, there is no other possibility. If you want to dispute that, you need to show another possible cause of this very long period of cold (which is unprecedented in the Holocene). That being said (because currently nothing else can be said), the purpose of my original post was to show under what conditions low solar activity can cause a period of cold, and compare that with solar cycle 24. If I look at the data, I first see that there were past periods of low solar activity. The earlier ones did not appear to cause low temperatures (what other effects they may have had on climate I don’t know about). Then we get to just before the Little Ice Age, and we see a Grand Minima of perhaps twice the length of any past one (of it’s depth at least). The effects of this unprecedentedly deep and long Minima appears to have been…nothing (temperature wise at least). There was then a period of higher solar activity approximately as long as the preceding period of low activity, which was then followed by another period of low solar about as deep and twice as long again (thus 4 times as long as ones well before this period). Only after we had already had one unprecedentedly deep and long Minima and were well one or way into yet another just as deep and twice as long did we finally see cold. This cold then lasted for hundreds of years, starting to warm up slowly after the second minima (the Maunder) ended, and then slowly warming, possibly slowed a bit by two more much weaker minimas (which makes an unprecedented 4 total minimas during this period). What I have to conclude from this is that, yes, low solar activity can cause low temperatures, but you must have not one but two major Grand Minimas to do it (really really major in this case). It looks as if first, the first Minima was unable to exhaust the store of earths stored heat, but when followed by another even longer one, the stored heat had been previously used up (keeping it warm the preceding Minima) and the earth did not have enough reserves of heat to prevent cold from following. After, and only after, the second Minima ended did it start to slowly warm up, and two more smaller minimas were not enough to halt this warming (although they may have slowed it down). The conclusion is that it takes an awful lot of low solar activity, very very low activity for hundreds of years, to cause a Little Ice Age, which is the only period I know of where cold can be associated definatly with low solar activity (where the likelyhood of it being something else appears to be too low for there to be any other suspect, where there is enough cold to be sure it really is unusually cold for an unusual length of time, and where that cold was worldwide). I then compare this with the idea that solar cycle 24 will cause a period of similar, equally noticeable cold, and I see that the level of solar activity of solar cycle 24, and it’s length, does not even remotely compare to the length and depth of the true Grand Minimas of the LIA. I therefore dismiss the idea that this little, single cycle, will have a noticeable temperature effect. Provisions: Because of the presence of ocean currents, which move heat (and cold) around in time periods of from years to centuries, and which may mean that if something causes cold, some places may not see it due to the presence of currents with stored heat, plus all the forcings, feedbacks, thermostat effects and the like which appear to “try” and keep the temperature of the earth relatively constant, it is very difficult, if impossible, to put numbers on what causes heat or cold periods. This makes it hard to verify warming or cooling from any source. This is why I used the LIA, other brief periods of cold had been seen, but they were brief, this one was noticeable for its length. The other ones appear have been caused by something other than low solar activity, which shows that some other ways exist to cause cold, however, they appear to show that these non solar ways could not keep it cold for hundreds of years. I also chose the LIA because it also had unprecedented depth and especially length of low solar activity. Thus the LIA is the only place where we can say with any certainty that low solar activity caused cold (there being no other possible cause known for such a length of cold). To sum up, with all the cycles and other effects on earth, it is very hard to get numbers to verify a cause of heat or cold. It takes a very large and/or long amount of cold to poke it’s head above the noise to be certain we are actually seeing something which can be traced back to a cause. The LIA was just such a time, perhaps the only one. The cause appears to have been a time of unprecedentedly low and long solar activity. Solar cycle 24 is neither of these. It does not appear to be low enough solar activity to even remotely compare to, say the Maunder, and time wise it is centuries shorter than the two Mimimums around the time of the LIA. Thus, I am not worried that solar cycle 24 will cause a little ice age of any kind. In fact, with all these other cycles running around, I would be surprised if we could isolate any solar effects definatly from all that other stuff (enough to be able to quantitize them and thus verify anything). Lack of imagination is hardly a good argument. Because we don’t know any other, does not mean that there is no other. It also coincided with not one but two Grand Minima, the first as deep or deeper than any preceding it and twice as long (approximately), and the second just as deep and twice as long again. I have shown this before, but you just ignore the evidence: http://www.leif.org/research/2000%20Year%20Temp%20and%20TSI.png The top shows a temperature reconstruction, the bottom a measure of solar activity [although labelled as TSI, it is really derived from the cosmic ray record]. There have been just as deep and long minima before, e.g. around 650 AD at which time temps were high. On a longer time scale solar activity looks like this: http://www.leif.org/research/HMF-Steinhilber.png with lots a grand minima. If you want to dispute that, you need to show another possible cause of this very long period of cold (which is unprecedented in the Holocene). As you can see from the above link, there were lots of periods with very low solar activity during the Holocene. The Spoerer/Maunder minima are not that spectacular in the long view. Recent research suggests that perhaps solar activity was not really that low during the Maunder Minimum. The solar dynamo was still working, the cosmic rays were modulated as strongly as today, and solar magnetism was still present. Thus, I am not worried that solar cycle 24 will cause a little ice age of any kind. Did the Sun’s Prairie Ever Stop Burning?